Well, last year after 5 years my position has changed. 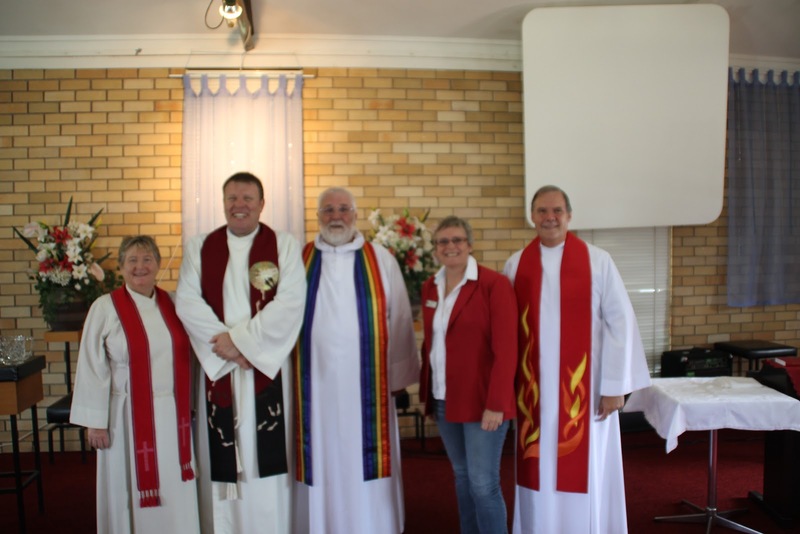 NOT my good friends at Sydney/central coast Presbytery and NOT New England North West Presbytery who take great care of me over the last 5 years. So What has changed? 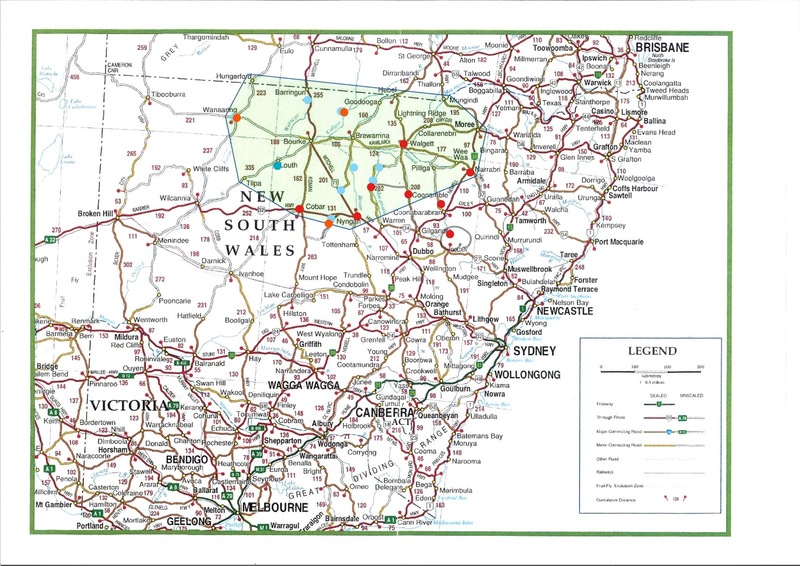 We have taken on a new Partner - "Frontier Services" and I have changed to a "Bush Chaplain " rather than a "Rural Chaplain" and my patch is called the "Barwon Remote Area" - as seen below in the green area. This is mostly the same places I have been ministering to. It is so good having the extra help and support on so many levels, it has made the change so smooth. The Team in the office at Tamworth City Church have taken so much time to make this program work - backing me up in many ways. Nicolette handles the "thank you" letters so people can read them. Gai goes so far at helping make the money flow to those in need, plus is such good support and Bryan, he makes it A-OK. We now have a team in Parramatta who have made me feel so very welcome -putting on a great meet and greet morning tea with cake and a card when I first visited then again when they met Lyn when we visited in a joint Sydney catchup. I still have great support now it has been a year nearly, they moved to new offices in Parramatta in January of this year from Pitt street. I am still working some things out but having Out Back Links and Groups from the NRMA team out fixings so many different farming motors big and small was so good great guys too. The Drought has not let up and most of the land is bear. 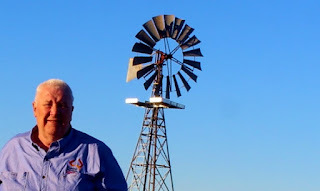 Well Life has rolled on very fast as I look at the time since I last did a blog but the drought has not changed at a meeting of Farmers and Agri experts in the Pilliga they ran an app that gave us a readout on rainfall it showed that this year's rainfall was the lowest for 150 years so yes it is dry, not sure if that was helpful information but least confirmed it. It is hard for these people on the land their history for many is in the land they work stock or crop if you're not producing things who are you? this is a question that many faces as they sell their last few sheep or cows. Yes, Their still Farmers but for many, they don't feel that. The car is the main part of my tool kit this one meets the needs and is a good ride 17,000ks up already the service people were surprised to see me so early they have next service 30,000ks for Feb next year I think October maybe. the new logo is very good but I put old sign's on so folks know it still me I will take them down one day. Well I hope to do this every month there are lots of things coming up and I hope much is washed out with good soaking rain. And look at my Facebook page for Photo updates and small new bits I have a new program which does grammar and spelling and such things even those ; things see well it misses some Phill bits well life is a grin. Been out and about - the heat has come down by about 8 degrees. 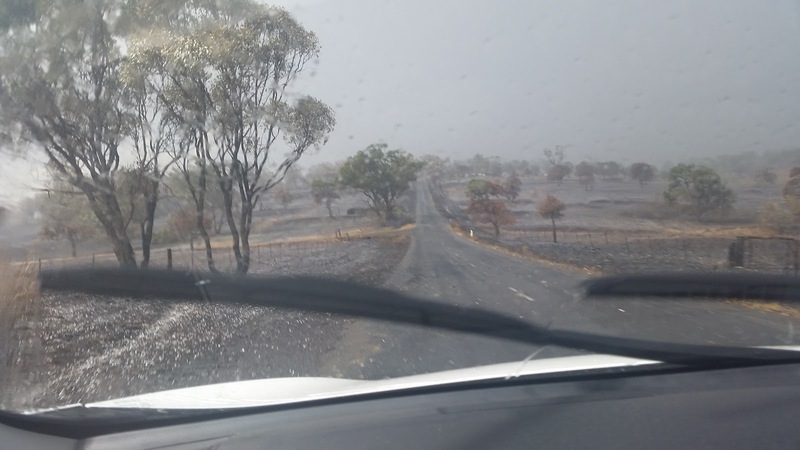 Mid 30's the norm as I drive round Hermidale, Walgett and Coonamble/Quombone areas. The mood is getting a bit testy with little to no help from Governments at this time. Low/no interest loans are good but the worry is how long will it take, do I meet the criteria. This is 5 years or more for a lot, some got a break with one good year . Stock and wild life wander seeking a feed . But have they given up? NO! I was given a tour of the Quombone Polo Cross and Picnic Race track as they work to bring them up to standards. Volunteers with a multiple of life- skills and "just have go" attitude has gained grants and deals and transport to change the site to a place for a great day out . It's like a new Loo! from R to L new Bar rooms storage old bar New Showers and Loos ! I travel and meet these people and they face all nature throws at them - some are buying water as well as feed. Dams so low they fence them off to stop stock getting stuck in the mud but a smile and a cuppa meet you and give them a chance to show off the work no problem , But we need rain, O Lord we need rain. The Drought has left our state tinder dry. The danger of Fire is high and what would we stop it with? 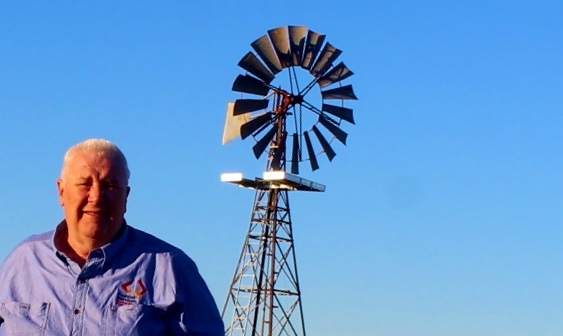 rivers & dams are dry or almost empty.I know your praying for the bush - thank you - can you ask God to allow Sydney to have a few dry weekends and come fill our Mud holes with the rain? Thanks for reading, thanks for your messages of support and mostly your prayers . A Farmer greeted me with "You been Bogged of Late" told him I trying . Hi all. 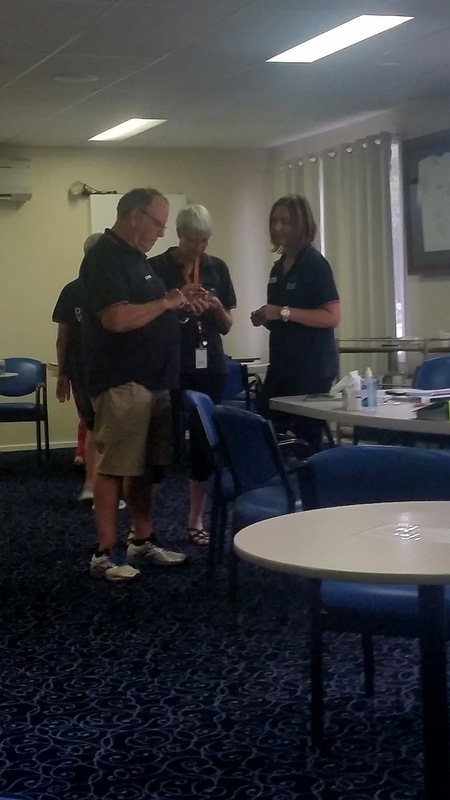 I have been busy with many things - training in Dubbo, Gunnedah and Tamworth - I love it when a week comes together. 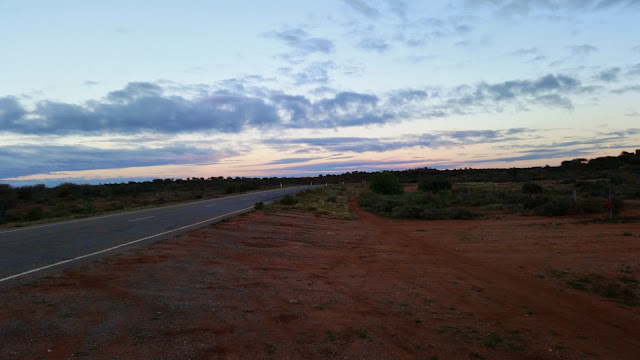 Monday I drove over to Dubbo, I picked the Tamworth people up from airport - the Fly in-Fly out folk love a country gathering.The odd 'Roo on way - quintessential Australia. Add SSSSloow talking Simon. Great time was had by all, about 50 made their way, lots of input and heaps of ............. This is the new way, but will it work? To keep the old,or build on the new ways. What’s changing? The RMU (Rural Ministry Unit) has become RMU 2 - made up of people with proven vision and a willingness to change in the name of God... Supporting Scattered Communities by connecting in a number of ways. Ruminations will go in the mail or your Email - if you're reading this then no more drive to the mail box, more time to pray or cook whatever. Using Uniting Community Engagement workers to grow new ideas of how to, without blowing the budget or your boiler, grow into a church that connects its community. We will be looking at ways of connecting Ministers in the City to Congregations. No, not happy holidays helping you find ways of doing worship that you all enjoy. We have heard the pain of many with no respite - even the Lord took time out . Everyone spoke, some more than others (you know who you are), feedback was good and then I ran NENW folk back to airport then drove home with my crew - Me, myself and I. I played up, too much coffee mat eeting in coffee shop - was good. 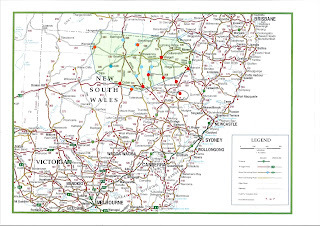 Gunnedah I took on the role of team Leader. 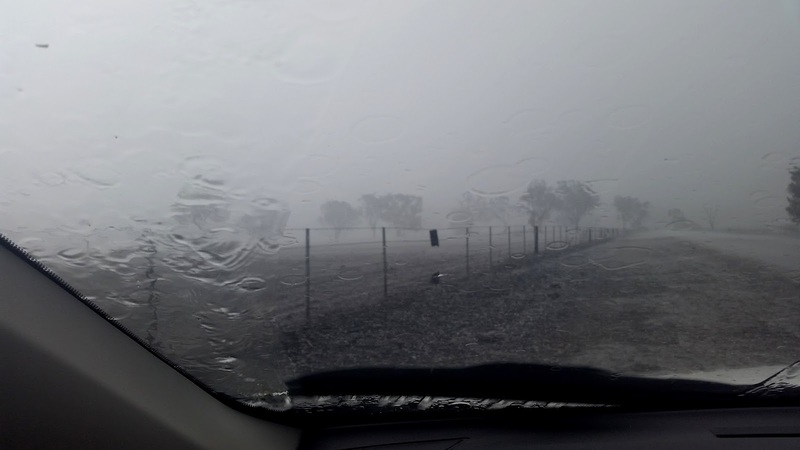 It was a Mock evacuation - Gunnedah was going under during a "big rain" - we wish. This is part of the training we do as Disaster Recovery Chaplains but wow the Red Cross was made up of Church people! It often gets asked: "what’s your mission"? nothing! and they're out in the community helping those in moments of need. Great day . Then onto Tamworth for "Preaching in Corinthians". For my non-church going followers Corinth is a place mentioned in the bible from a long time ago and a great guy named Paul who hung out with and looked after the people. Anyway, it stated at 9.30 am and I got there at 4 pm - I had a note from "myself" - he is the best writer of the team. Back to Narrabri so I could preach on Sunday - what a week. 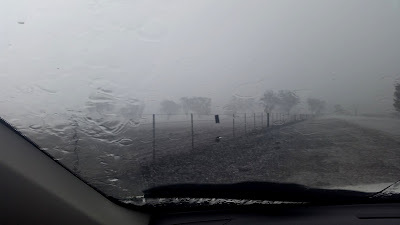 Not enough rain in storms to fill the dams but the nice cool day was great for sleeping in. Then out came the sun - I do like it warm - but not so hot you can't pick up your sunnies off the dash! The First trip out was to Broken Hill - can you see for ever ? I was home for a little time when the call came - there was a fire - can you report to The Recovery Centre? First at Coonabarrabran, then Coolah for a week. I stayed - great team to work with. Below: the storm and the team from Community service. The RMU Field days - some came for the first day & stayed for the lot. Good work to those who set it up. It was the end of a great run by Bronwyn Murphy as she passed over the baton to Rev Mark Faulkner - right - giving his keynote address at the dinner. Powerful words to take us forward. RMU has become part of "Salt Bush" - scattered Communities, new name, new Vision - forward into the future. Then down the river with a great bunch of people from across the state - yes even the Moderator - who is a great supporter of this project . I finished this trip in Shepperton Vic and drove to Tamworth for the first of my 3 eye operations. I know I am healing as I can read and write with my $30 readers -they are working well - sorry they have no spell check glasses yet . But I just remembered I did not do a Blog on the Lower MDB tour - sorry guys but I will get to it. The last 3 months have been humbling - relying on others for lifts and other care and so much prayer. I have done much from home and over the phone plus attended some great events - if you follow my Facebook page you will see lots of Photos. I once was blind but now I see. So much more to do but 2017 made me take rest like never before but I found it was needed in allowing others to help, I found new life and God's Love in the staff of the doctor's rooms and all around me, friends and family. Looking forward to new sights to see as God opens his Kingdom through the lens of my Camera. The night was a good time in the planing dates flew in and out then we got one I was free they where free so lets do it. The flyers were sent out to area and some places in the area . Then we set up food and table even made a sacred place from 3 trampolines,we covered it in green leaves and a cloth with leave painted on it. Next the gap before the people arrive . But come they did, it not like other gathering it's different but we soon Seattle in ,like old friends . We put names of loved ones and requests for a good season next year and then after a slow start the right person went first and all followed NLAG centre for Loss & Grief Leader Trudy and others joined in the services I had 2 prayers it was a moment of change from Chaplain to Minister and they all said it was good. The dry time has moved back in the toil of feeding and finding feed paying for feed hangs over us again . Just a dry spell No drought the government says! Hi all I hope you been following the Face book page I am very close to the end I hope of this journey of changing eyes . Those who don't follow face book I had 2 eye operations ,steming for an eye injurey that fixed they had to take my catarcks thatwere forming old age. So no reading glasses this adds to not reading well spelling and gramer less life I have lead made doing this very hard but my eyes doing ok with help of view turned up. I still am able to drive and getting around the state. 13th.November is my day I am looking forward to it thanks again for prays I am so blessed with the resullts so farandgood Doctors in Tamworth and Newcastle . Looking from Little Bay across the Bay at Sunset . What this it me healing spot as the sun set and the wave slowly rolled over the sand, the smell of salty air filled my lungs the view was not this clear but my camera caught it and its beauty . I just pointed and pressed the button looking to the light . The last month I have been seeking treatment to my left eye the operation took place in Newcastle 2 weeks ago I haven't driven a car since then I healing but still a bit swollen. I have struggled with my grounding Guilt and Borden lots of support saying give it time, be patient, behave easy for them . when you don't look sick or broken . But I know there right so I am putting down this blog with my $24 reading glasses font pump up. It is going good the Doctor prayed with me the church and many more prayed so I am going forward. I walking am lot as I can't drive I walk to the shops get a few things and the mail and then walk home always a conversation along the way. I have to ask people for help as Doctors in Tamworth long walk no buses you get to know people more on a road trip , I start to see more ask what the story with that ?. As the new Moon climbs up into the night sky reminds us, God's light shines on our journey even in the darkest times brighter than the streetlights . If you would like to receive an email each time there is a new post then fill in the box below with your email address. When you receive the confirmation email, click on the link and you will start receiving the emails. Your details will not be passed on to anyone else. copyright owned by Joanne Smalbil, David Shrimpton, Phill Matthews, Julie Greig & Sue Chapman. Picture Window theme. Powered by Blogger.